Left-handed people have it tough. Scissors aren't meant for them, the average mouse isn't shaped for them and gloves aren't meant for them. Everyday life has been all backwards. But it's okay! 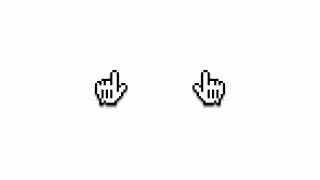 You can be normal on the Internet now with this left hand pointer icon.